Books, books, books, I know I bang on about it plenty on this blog but genuinely I just adore books and by extension so do the girls. There is SUCH a selection of books for children out there it’s incredible and fantastic. In fact there are so many books out there it can be pure daunting. I’ve pulled together some of our favourites, some that the big lady loved and now the small lady also loves. This post is specifically a list of books suitable for children less than 18 months up to two years old, a mixture of books with flaps for discovering and short stories for soothing. In broad terms I would say that Julia Donaldson, Emily Gravett, Oliver Jeffers and the Usborne books are our all-time favourite authors/series, anything from any of them (perhaps bar The Heart in the Bottle by Oliver Jeffers which is far too sad and odd for small kids) is sure to be a big hit with any child under the age of four. Any and all of the below and anything by those authors will be suitable for boys and girls. 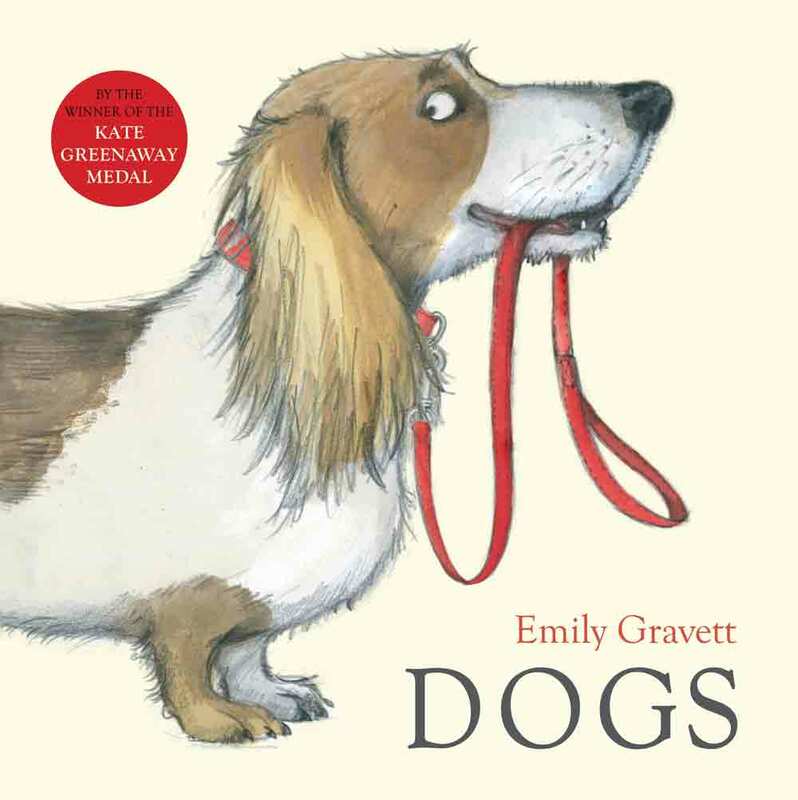 Dogs and Matilda’s cat by Emily Gravett – These books are nicely intertwined featuring one in the other and visa versa. Dogs is a really simple book but nicely introduces the concept of big and small, hairy and bald etc and has a nice little ending. Matilda’s cat has a lovely run through some little activities most toddlers will enjoy and identify with. Dear Zoo and Oh Dear by Rod Campbell – These books are literally older than I am but lovely, lovely books that are pure and simply in their message. A great way to introduce small children to animals and I dare you not to make a farting noise when you open the window on the horses bum! 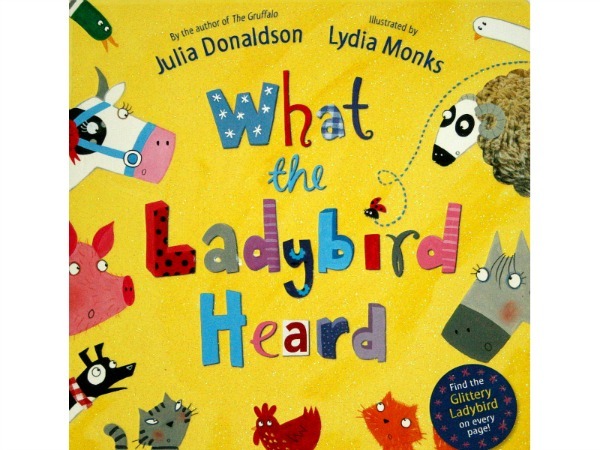 What the ladybird heard again by Julia Donaldson is a little more wordy than others so probably best for the 18-24 month olds and I challenge you to find the ladybird quicker than the small ones, it’s really hard to find on some pages. The board book is better than the paperback as the ladybird is glittery and textured in the boardbook thus making it firstly easier to find and a bit more interactive than the plain paperback. Usborne The Garden – this is one I picked up recently and it’s a lovely, slightly more advanced lift the flap book with talk of compost and nectar. There are four books in the Tales From Acorn Wood series by Julia Donaldson which have a nice bit of text (1-2 sentences per page) along with a little flap so a nice bedtime book. 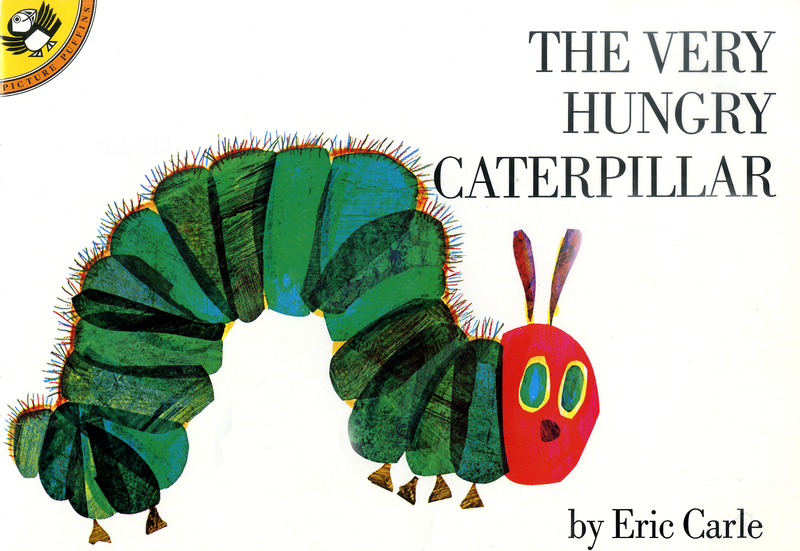 Another almost classic The Very Hungry Caterpillar by Eric Carle is a lovely book, a nice short story with holes in the fruit that keep little fingers entertained as you read. A nice way to introduce counting too to small minds. 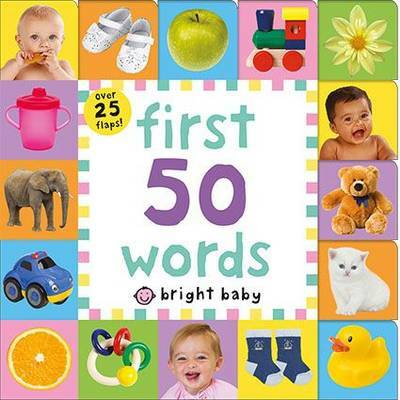 50 first words – this isn’t a story per se so it’s a nice book to have downstairs so a child can pull it out during the day and play with it. This is a good all-rounder – a nice mixture of lifting flaps, really clear and obvious pictures and the introduction of colours and numbers too. There a lots of books in the That’s Not My…series, we have several and the small lady loves them, I think there is a limit to how many different textures there are (the bumpy one and the scratchy one appear in a few of our books) so you don’t need all the books in this series. And last but not at all least is Guess How Much I Love You – this book are probably what one could almost consider a classic at this stage, home to the famous saying ‘I love you right up to the moon – and back’. The adventures of Little Nutbrown Hare and Big Nutbrown Hair are so lovely although I sometimes wish Little Nutbrown Hare could just get one up on Big Nutbrown Hare!!! Check out the popup edition although this is so beautiful I can barely let the three and half year old at it in case she ruins it. So there you have it, our (very nearly) 18 month old’s favourite books, hopefully you will or do already enjoy these books and of course please feel free to let me know if you have any other favourites in your house that are worth checking out!! Eimear, it’s so wonderful to see your list of books! I think reading helps to give kids self confidence, along with so many other things. Some of our favourites here including Dear Zoo. Our copy was much read over a number of years. Eric Carle and Julia Donaldson were some of our faves. I love all of these books but my favourite of all tome is the very hungry caterpillar. I used to have tons of books as an early years teacher. Now i’m in the uk, I am rebuilding a book collection. My boys love books as well. There are some on your list I haven’t heard of so will check them out. Baby L favourite is ‘That’s not my lion’ and DJ will read absolutely anything but especially transport related. I take DJ on Mummy and Son dates to the library once a month for quality time. A favourite in this household is ‘On the night you were born’ by Nancy Tillman, it’s a beautiful story. We have some of these that we also love, such as Dear Zoo, What The Ladybird Heard and the Hungry Caterpillar. 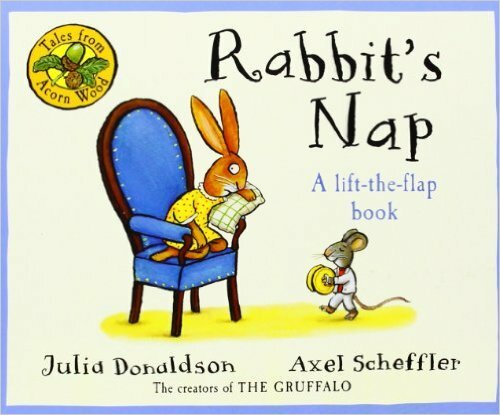 I think we may have to pop Rabbit’s Nap onto the Father Christmas list this year as I know my littlest loves Julia Donaldson books. My son is 21 months and has very little patience for books, but he does love a lift the flap book! Postman Bear is our newest favourite, with Dear Zoo and The Very Hungry Caterpillar both going down well. I wish he had the patience for Guess How Much I Love You and some of the other Julia Donaldson books (loves The Gruffalo, but he can’t sit through any of the others) as I love them!